State Police report a Haverhill woman died after her SUV crashed between exits 33 and 32 on I-93 southbound in Medford shortly before 7:30 p.m. yesterday. State Police report Florence Bisson, 58, lost control of her GMC Envoy, crashed and was ejected from her vehicle. 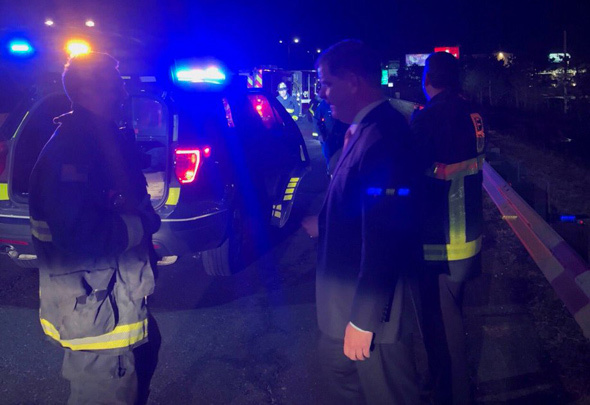 On the way home after the Patriots parade this evening, Mayor Walsh spotted a car on fire on the Expressway. 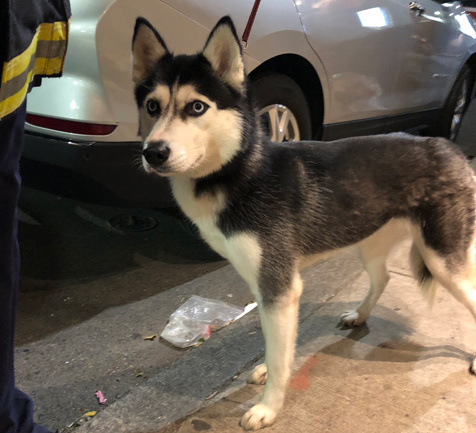 The Boston Fire Department reports Hizzona stayed with the driver until firefighters could arrive to douse the flames. Anybody remember the time there was a fire in the Pru tower and Ray Flynn ran up the stairs towards it? 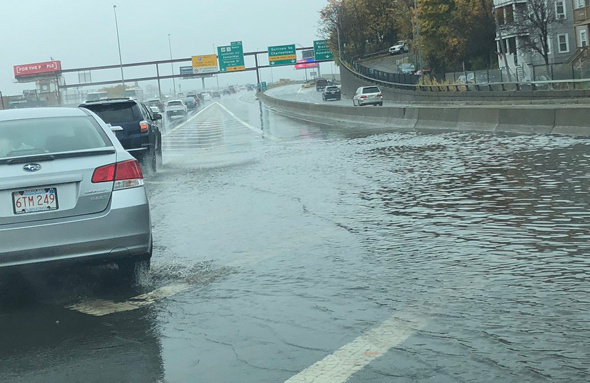 DD808 had plenty of time to snap the delay sign on I-93 southbound north of Boston this morning, thanks to a trucker who tried to sneak a too tall load into the O'Neill Tunnel, but failed: Read more. 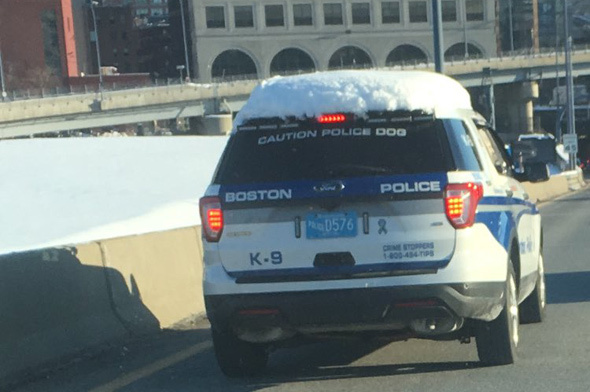 State Police report a trooper who'd pulled over a driver for failing to signal a lane change on I-93 in Milton early this morning watched a guy try to get on I-93 the wrong way - and nabbed him for OUI. Read more. 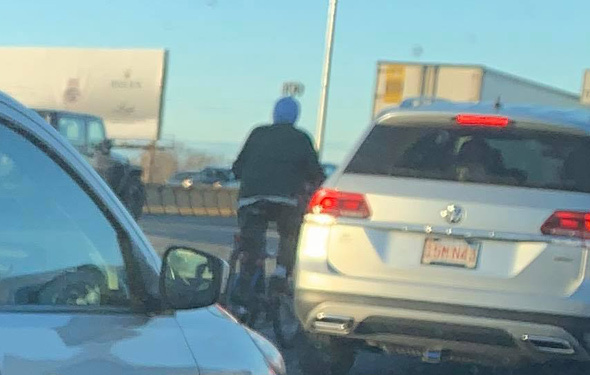 Sure, why not bicycle across the Zakim at rush hour? There were about four other kids. I don’t know how or where they got off the highway but I think they must’ve taken the government center exit because they weren’t in the tunnel. State Police report a multi-car crash at the airport exit on I-93 south has left just the left lane open. 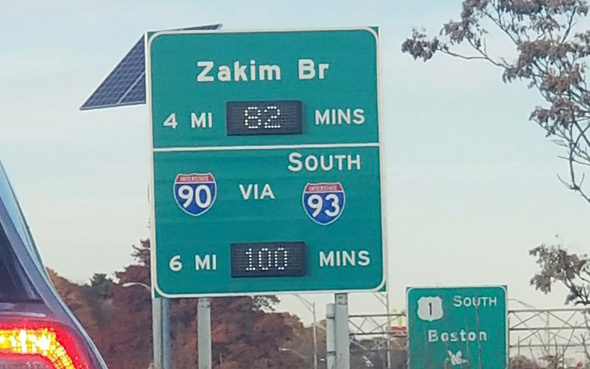 "Expect delays," they say. State Police report a man suffered serious injuries around 5 a.m. when he was hit by a car whose driver was heading north, just south of the Southampton Street exit. Read more. 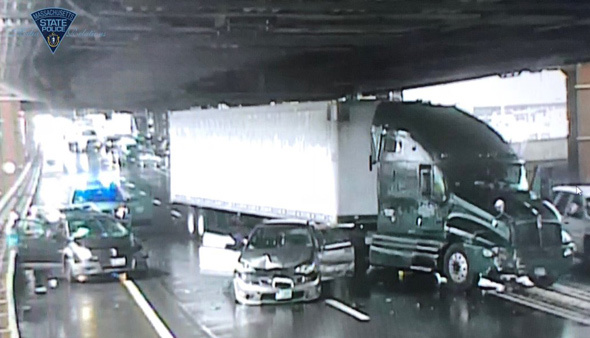 A crash involving a tractor-trailer and at least two cars shut I-93 southbound into Boston, except for the HOV lane, shortly after 3 p.m., State Police report. State Police said there were injuries, but none life threatening. The road was reopened shortly before 4 p.m., State Police report. Josh Jarmanning shows us the fire that resulted from three cars crashing on the northbound side of I-93, just past the gas tank around 12:15 p.m. The smoke was visible for miles around, as Rob Littlefield shows us: Read more. State Police report a Brockton man heading north on I-93 shortly before 2 a.m. lost control of his 2017 Suzuki GSXR between the Neponset Circle on-ramp and the Freeport Street off-ramp and crashed. Read more.